Rally Against Racism in Times Square. HCX merged efforts with many other individuals and organizations to protest racist and anti-immigrant rhetoric and policies. HCX held a poster and banner making session the day before, and on the day of, we met up with Kriyol Dance! musicians and activist Rara band djaRARA to travel to the rally together in solidarity! HCX facilitated performances by Gina Athena Ulysse and Jeffrey Dessources (MRJEFFDESS), calling to action attendees and the arts culture community. Find pictures of the event here. 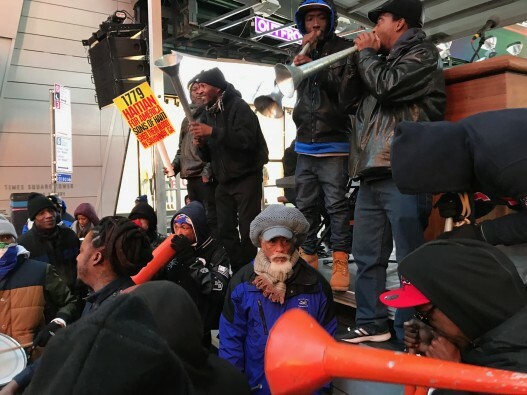 In efforts to continue the conversation and ensure that our efforts are not just reactionary but result in longer term possibilities for collective action, below we have sourced a list of upcoming actions, relevant news articles, and resources to help. Please contact us to contribute to this list. 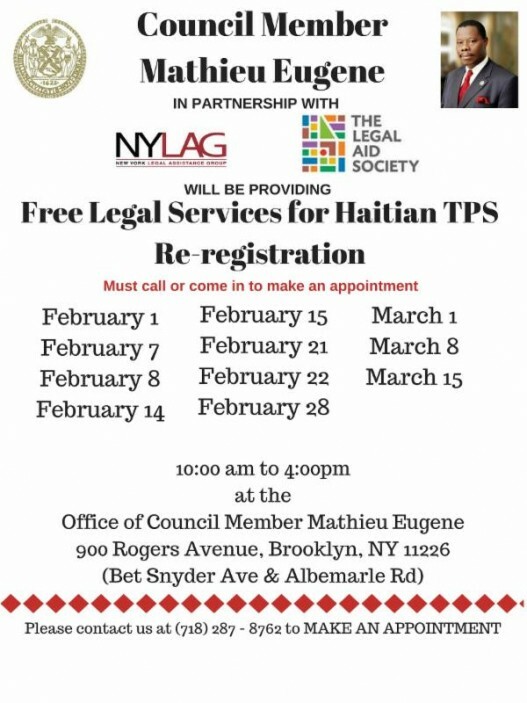 The Office of Council Member Mathieu Eugene, in partnership with New York Legal Assistance Group and Legal Aid Society, will be providing free legal services for Haitian TPS Re-registration. Clinics will be held today through March 15th, 2018. Please come to our District Office (900 Rogers Avenue) or call 718-287-8762 to make an appointment. This entry was posted on Wednesday, January 31st, 2018 at 4:47 pm	and is filed under Archive, Social Justice. You can follow any responses to this entry through the RSS 2.0 feed. You can leave a response, or trackback from your own site.